#powertothepen As most of you know October is Breast Cancer Awareness Month, and many of you know I lost my baby sister, Lisa , to breast cancer so this is something near and dear to me. I received a box from Pilot Pens USA today, and it's evidently important to them to. 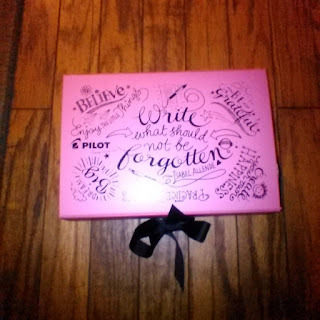 On top of this pretty pink box are some very sweet but very powerful statements... "Believe", "Be Grateful","Create you own happiness","Practice kindness", "Dream big", "Enjoy the little things", but the most powerful of all "Write what should not be forgotten". That statement really struck me.I'll tell you why.When my sister, Lisa, was getting sicker and was telling me some of the things she wanted me to take care of when she was gone, I'd cry and tell her I didn't want to discuss that. She said, "Kath, one day I might not be able to tell you." so I listened. I'm so glad now that I did. I was able to follow to the letter what she wanted, with no regrets, and no questions. One day we were talking and she said "Kath, I want you to have my computer when I'm gone. There's an icon on there that's not to be opened until then. It looks like a piece of paper and a paintbrush and it says drying paint." The morning after Lisa passed I opened that icon. It was a journal she had kept for me through her battle, her hopes, her fears, what she was feeling, what she was thankful for. That means the world to me. I cherish those words that she had typed just for me. 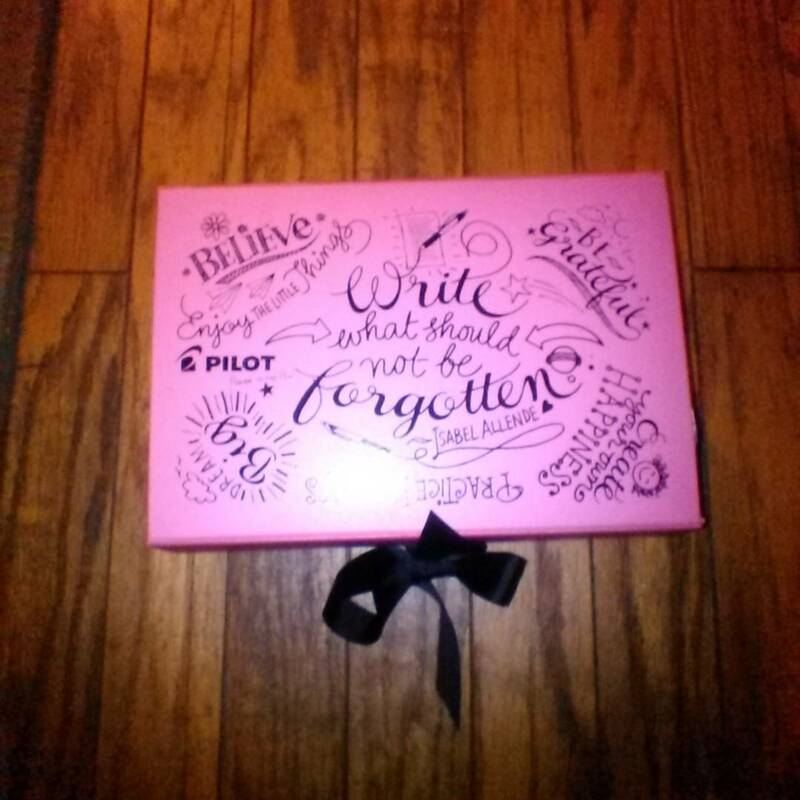 "Write what should not be forgotten" When I saw those words on top of that pretty pink box I smiled and cried at the same time because that is so much a reality to me. I lost my really young cousin to cancer so bless that you are helping to find a cure, and thank you.